This is probably Arequipa’s most famous sights in the center. It’s this enclosed, ~20,000 sq meter monastery with massively high walls located right smack in the center of the city. Yeah, it’s like an entire town. It has street names, corridors, centers, and everything inside. It was built in 1579. Apparently rich families had to send their second daughters to the monastery back then (first daughter got married and third daughter cared for the family). The families would build these girls their own rooms, furnish them, and even provide them servants! At it’s height, there were ~500 people living here (nuns and servants). That all changed in 1871 when the Pope stepped in and said they couldn’t live like this anymore. Now there are only 10 nuns living there. It’s really a beautiful place and part of me thinks because they had servants and their families provided them everything they wanted, it wasn’t so bad. But at the same time, they didn’t really have a choice (well, they could leave and shame their families) and they had to perform all these rituals and practices. It was an interesting lifestyle. Today it seems much more strict and no one would really do this unless they really have had a calling. View from top of chapel. Gives you an idea how big the monastery is. We have another day in Arequipa tomorrow and I intend on eating my heart out! More food pictures to come for sure. 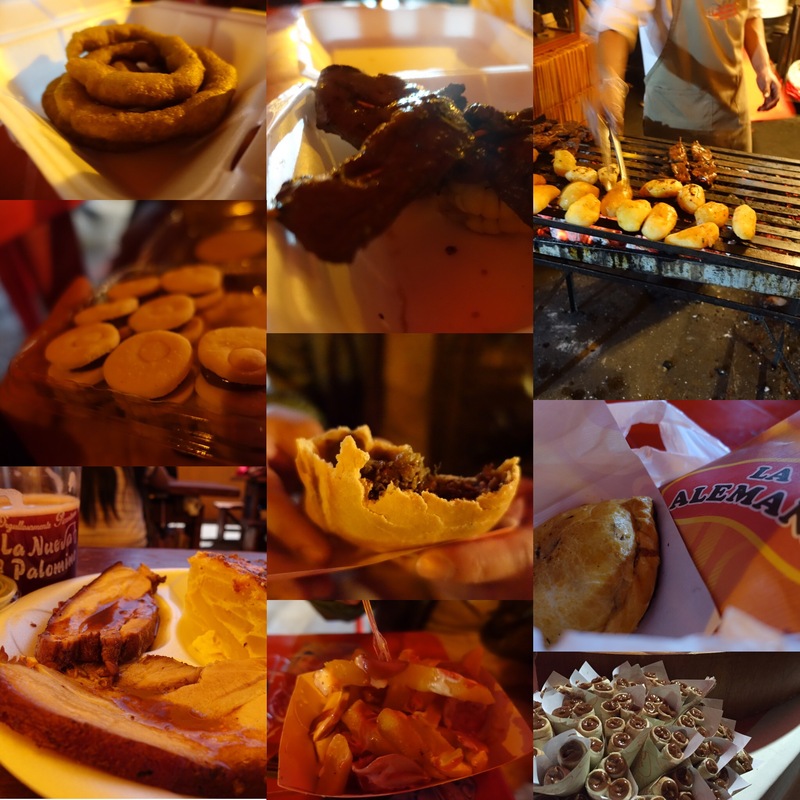 Update: so we stumbled upon an Arequipan food festival next day and thought we had gotten really lucky! All of Arequipa’s best food in one place. We went for lunch and then for dinner. One of these delicious foods gave us food poisoning…. We definitely ate our hearts out…and then we both got food poisoning the next morning. We had a 6-7 hour bus ride to Puno along very bumpy roads that day and we were heading to higher altitude. (When your body is acclimatizing, it messes with your digestive system.) It was the most unpleasant ride of my life. Because we were so sick in the morning, we didn’t make it to the bus station for the nicer, touristy bus and took one of the local economy ones. There was no AC and it was hot as hell. It made random stops along the way (like Chinatown buses) and what should have been a 6 hour bus ride was almost 7. There is a bathroom on the bus but we didn’t use it. Instead we used the hole in the ground at one of the pit stops (just like Taiwan!). When we finally made it to the grungy, unattractive town of Puno, we found out the running water at the hostel wasn’t working (oddly hot water was working) which meant the toilet didn’t flush! Good thing all I did upon our arrival was sleep from 6p to 6a. The only plans we are changing is instead of doing a full day Uros floating island tour, we are doing just a half day (Holly if you are reading this, I hope it’s worth it! Haha) I haven’t eaten in probably 24 hours but I’m feeling a lot better now!